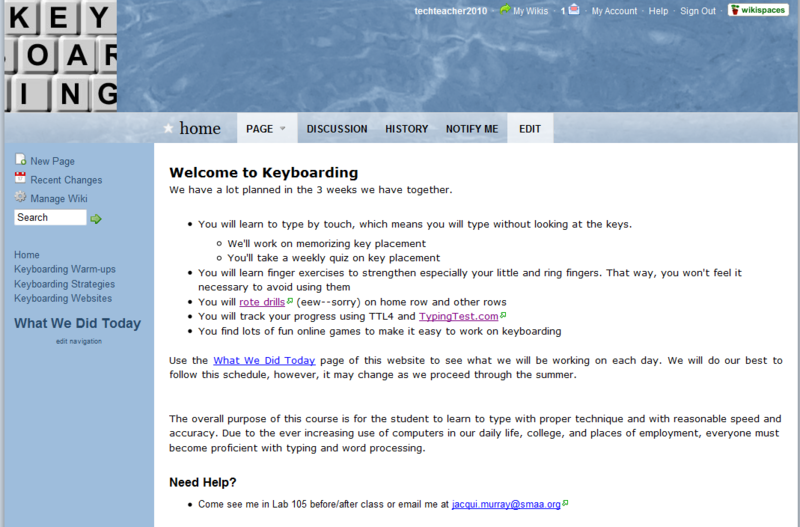 If you’ve been thrown into the slot of tech teacher at your school, or just want to shake up the program you’ve been teaching for years, this wiki will take you through how to teach keyboarding to grades 2-8. It’s a real-time wiki, meaning I’m using it right now, so you’ll see lots of changes every day. Currently, I’m teaching a summer keyboard class to 4th graders, so that’s what’s under What We Did Today. When the school year returns, it’ll be more of a monthly approach to guide students through skills they need to learn in thirty days. Either way, you might find it useful for your classes. I’d love your feedback. What else should I include?